Lexus & BMW Working on 1,000 Horsepower LFA Successor? Discussion in 'Lexus Lounge' started by krew, Sep 21, 2015.
Insider says however that "while 1000hp is possible, fuel consumption, emissions concerns and engine tolerance figures will see a more realistic figure of 800hp (596kW) targeted." Den and Gecko like this. Crazytown - and I love it! sounds good, but a V10.... it's a V10! V8 can't match the V10 glamour. aka high rpm. crazy australians and their imagination... TS040 engine is not production ready and will not ever be... besides, they are going V6 with turbo for next year. 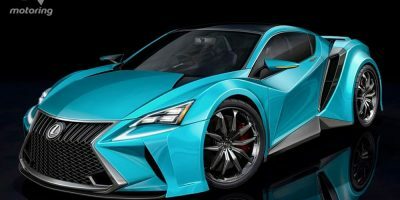 Lexus should honor the LFA, no one else should have their paws on the project but Lexus. If Lexus did so perfectly well with the first one, they can do it again with the second one, or can they? as said by Jeremy Clarkson. Maybe it's so special they can't make it again. Even if Lexus can, should they? The LFA should be a one hit wonder, that's part of what makes it so special. I have a few opinion toward this "LFA successor" , as well as a personal point of view , to reply to the current comments in this post ... I hope I won't offense you guys when I'm voice my opinion (since you know , this opinion can be real personal centered) . Firstly , I see this as serious upmarket hypercar , the kind of hyper hybrid like Porsche 918 Spyder , McLaren P1 , and Ferrari LaFerrari ... this is no ordinary supercar like your Lexus LFA or Lamborghini Aventador LP700-4 ; on (rumour) paper , it utilized TMG's 3.7-litre V8 , as well as combined with hybrid system to makes somewhere between 800 to 1000 horsepower , that is nothing but a beast like Porsche 918 ! If Lexus-BMW did it correctly (given not being heavier than 918 , or messed up stuff) , they couldn't made one hell of beast right there ! For some reason , the quote of "The power source for BMW’s supercar will be a bespoke M-developed straight-six twin turbo with plug-in hybrid technology courtesy of Toyota." sounds like the recipe of the Toyota-BMW coupe that had been talked about ever since Toyota-BMW had co-joint venture . What about putting it this way ... just take it as hypercar , not as LFA successor , but something one up LFA . Lexus didn't have such an epic powerplant before LFA (or IS-F) , but they managed it ... so why not a crazy hypercar ? The V8 doesn't sounds too bad IMO , but if combination with V10 , is also a good idea , love to see the engine come back one more time . From what I understand , Porsche made the 918 engine based on a race car engine ... same thing on Porsche's Carrera GT ; I have faith that Lexus-Toyota able to made the TS040 engine being production ready ... but it might need quite a lot of redesigns . Love your thinking, whatever happens, Lexus should make it independently (not with BMW), if anyone, why not with the nutters at Mercedes AMG (my second favorite car brand). Mercedes Benz adds the german touch (technology, innovation) and Lexus builds it (legendary reliability and build quality). Those are just my two cents! Love to hear what others think! The Mclaren F1 was a Mclaren/BMW collaboration, so personally I think this rumor has some credibility to it. Considering that neither BMW or Lexus has anything that is equivalent to Lamborghini/Ferrari/Maclaren, not to mention the Audi R8, this would be a good move to for both companies' line ups. I am 99% positive the Toyota/BMW joint project does not extend to the Lexus arm. I recall a Lexus Exec stating that there was no BMW/Lexus collaboration because the two entities are natural competitors, and that the Toyota/BMW project would result in a pair of vehicles that will only be on a shared platform that would produce two totally separate vehicles, one badged a Toyota, and the other badged a BMW. So I am not really sure why the Lexus/BMW collaboration rumors keep surfacing other than shock value and website traffic. =\ Those Aussies, hell, media in general, will say a lot of things to generate website traffic. Lexus & Yamaha, sure. Lexus & BMW? I don't think so. It's beyond absurd and redundant for two innate COMPETITORS to SHARE a halo car. The companies are convinced that fuel cell technology is one of the solutions necessary to achieve zero emissions. BMW Group and TMC are to share their technologies and to jointly develop a fundamental fuel-cell vehicle system, including not only a fuel cell stack and system, but also a hydrogen tank, motor and battery, aiming for completion in 2020. - The companies are to collaborate in jointly developing codes and standards for the hydrogen infrastructure which are necessary for the popularization of fuel cell vehicles. The companies agreed to set-up a feasibility study to define a joint platform concept for a mid-size sports vehicle that is to be completed by the end of 2013. The two companies aim to combine each other's technology and knowledge at a high level to maximise customer satisfaction. Both companies are to share the vision to further collaborate in the field of sports vehicle development. 2013 is long gone... sigh! Do we give our hopes up?